Nine Senators from West Virginia came together Tuesday to present new legislation that would curb the rising number of fraudulent cases going on behind the scenes in addiction treatment around the country. Originally proposed by Senator Shelly More Capito (R) of West Virginia and co-sponsored by Senator Catherine Cortez Masto (D) of Nevada. Both senators are part of the U.S. Senate Commerce, Science and Transportation Committee and the Committee on Environment and Public Works. The Opioid Addiction Recovery Fraud Prevention Act of 2018 would specifically target recovery and addiction centers and programs that take advantage of their patients and allow the Federal Trade Commission and state Attorney Generals to permit additional penalties for scammers and state attorneys the power to enforce provisions for protecting consumers. President Trump announced his three-part plan to oppose the current crisis back in March, and one of those plans included $13 million dollars in federal funds over the next two years into treatment and fighting drug abuse. Senators Capito and Cortez wants to make sure that money is going into the right hands. “But one of the things I’ve been very concerned about because we are putting $6-billion of federal dollars into this, I’m worried about the quality and quality control of the programs,” Senator Capito told WOWK channel 13 News in West Virginia. How is an addict supposed to find lasting recovery if they’re being exploited? She asks. 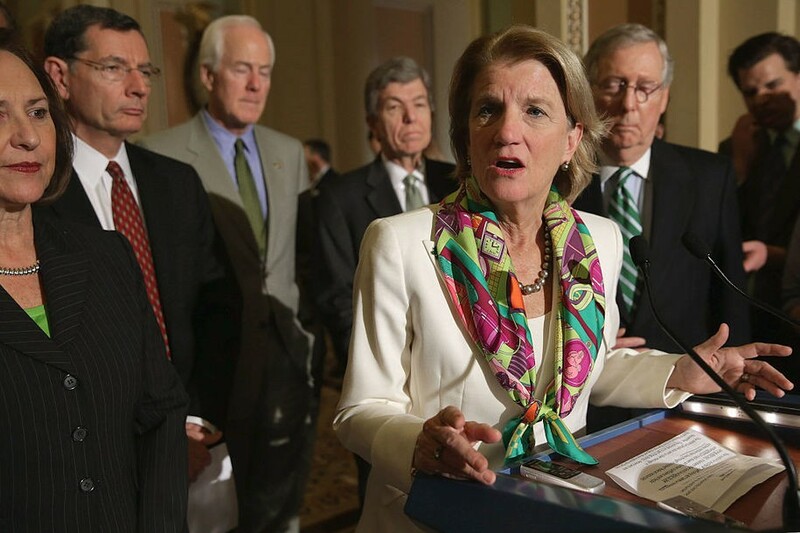 “Last summer it came to my attention that West Virginias suffering from addiction, who were desperate to get help, which we now know were fraudulent rehab centers that only worsened their addiction,” Capito added. “We’ve seen stories where there’s been over billing or where there’s been subpar treatment. These are people who are at their most vulnerable, who deserve to have the best treatment. They shouldn’t be taken advantage of, they should be getting good treatment,” Senator Capito told 13 News. “Nothing could be sadder to me than when you decide you’re going into treatment and then you end up in a fraudulent situation,” Capito told members of the Commerce, Science and Transportation Committee. Cortez Masto said that individuals taking brave steps to overcome addiction should not be met with fake recovery programs and harmful treatment scams. Additionally, Sen. Capito along with and Joe Manchin (D) of West Virginia also has proposed a bill that would help newborns suffering from withdrawals due to their mother’s drug use while in gestation. The Caring Recovery for Infants and Babies (CRIB) Act would approve Medical to cover the health costs of services provided to infants in residential pediatric recovery facilities and hospitals. This bill has been revised since last year to allow the coverage to stay in effect past the babies first birthday and provide activities that encourage caretaker and baby bonding. “In West Virginia we are exceptionally proud of the work Lily’s Place is doing to provide specialized care to infants born addicted to opioids. By allowing Medicaid to cover these kinds of healthcare services, the CRIB Act will expand access for West Virginia children and families ensuring every child has the opportunity to grow up healthy and strong,” Senator Manchin said. West Virginia has been one of the states hit hardest in the nation by the opioid epidemic. A state not previously known for rampant drug use has held the title of most opioid overdoses in the country with 52 deaths per 100,000 people in the state. With numbers as high as these, it’s nice to see it’s congresspeople acting to save its citizens and become an example to other states looking for direction.